View More In Folio Cases. Our Store Uses The Case of New MacBook Pro 13 inch As The Picture Sample To Show Effects and Details of Product, You will receive the right size selected by yourself. 1.Start with the top cover of the case. Clip the 2 clips at the back of the MacBook first. Unique 3D UV printing technology，the image is clear and delicate,durable. 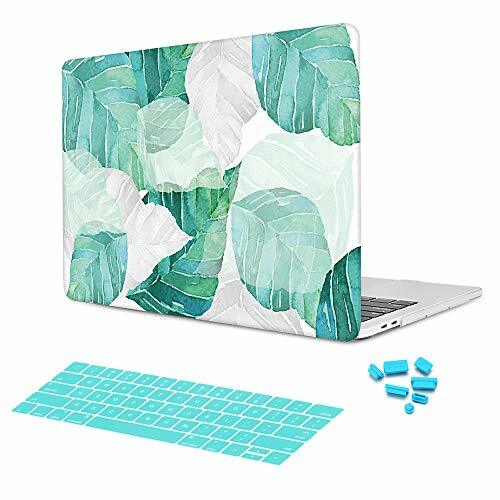 Creative Unique Natural Leaves Plants Reflection Design make your MacBook out of the ordinary.We guarantee that this is the best and the most beautiful you have ever bought. Fully vented for safe heat disbursement. Snap on design, easy on easy off. Plug your charger, cable or headset without removing the case. If you have any questions about this product by Batianda, contact us by completing and submitting the form below. If you are looking for a specif part number, please include it with your message.